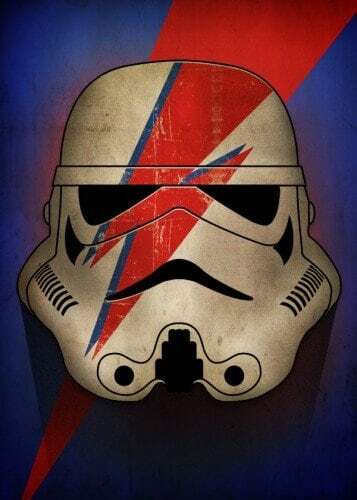 Our Stormtrooper in an international rock star ! This Star Wars poster is made entirely on a metal stand. The dimensions of this wall poster are 48 x 67.5 cm. 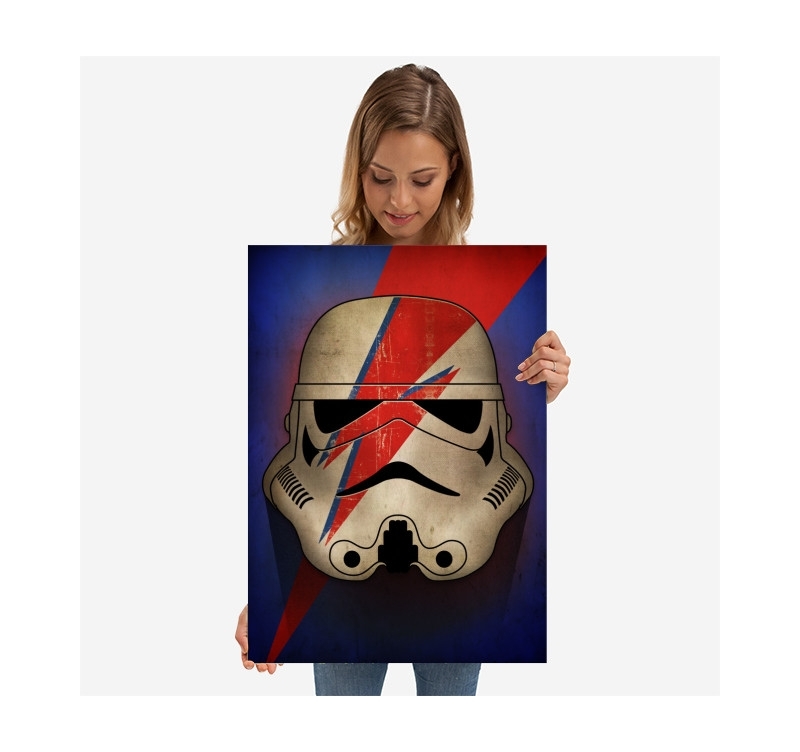 Worldwide shipping for this modern star wars poster. 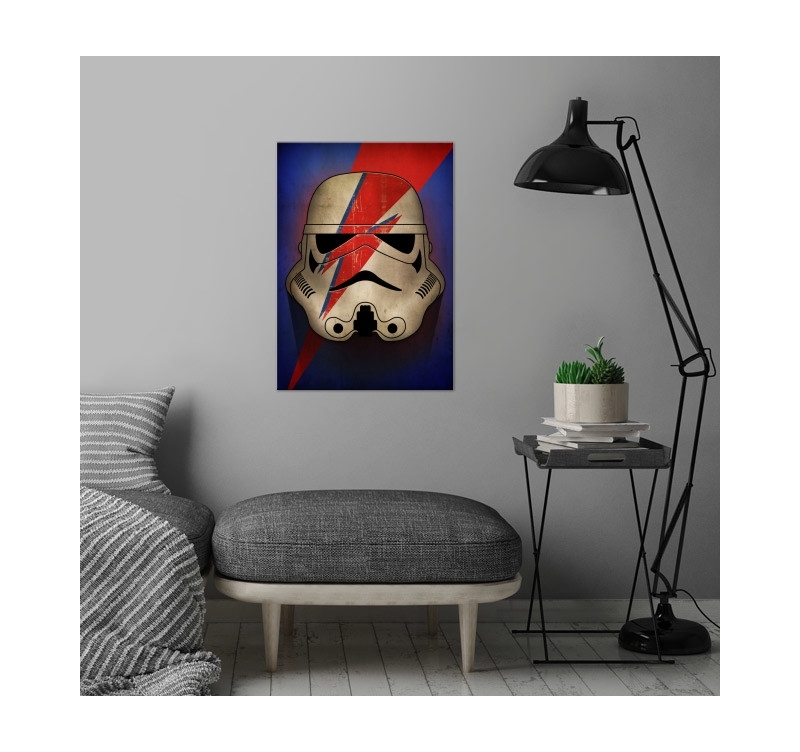 A clever mix between Bowie and a stormtrooper and here you are with a unique metal design poster ! 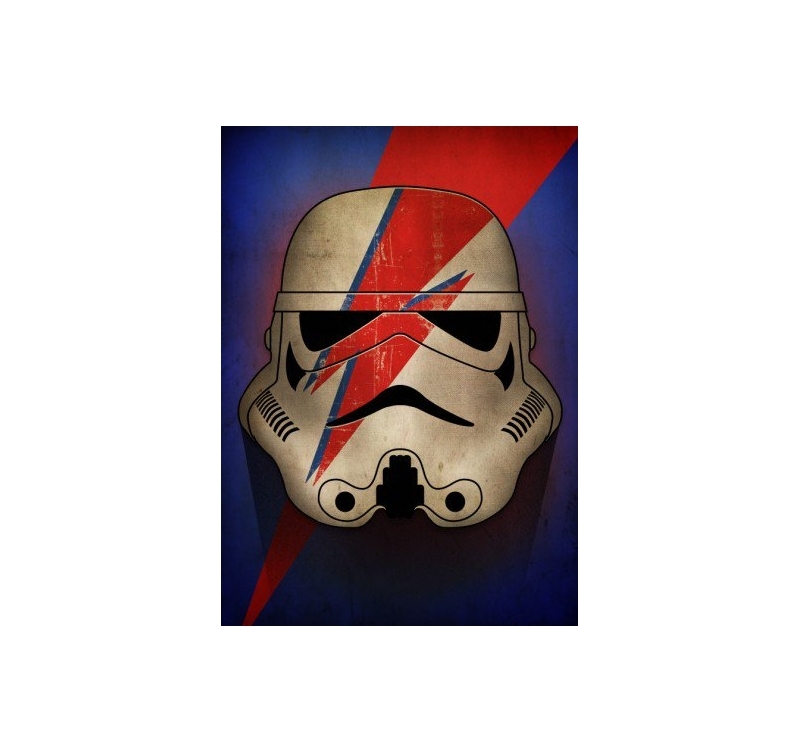 This well-known helmet of all Star Wars fans comes in wall decoration to adorn the walls of all fans. 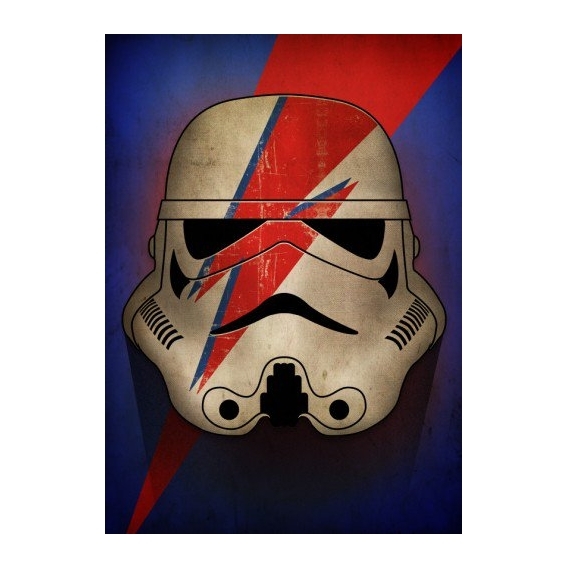 With the famous flash of singer David Bowie, this stormtrooper plays on originality and modernism. 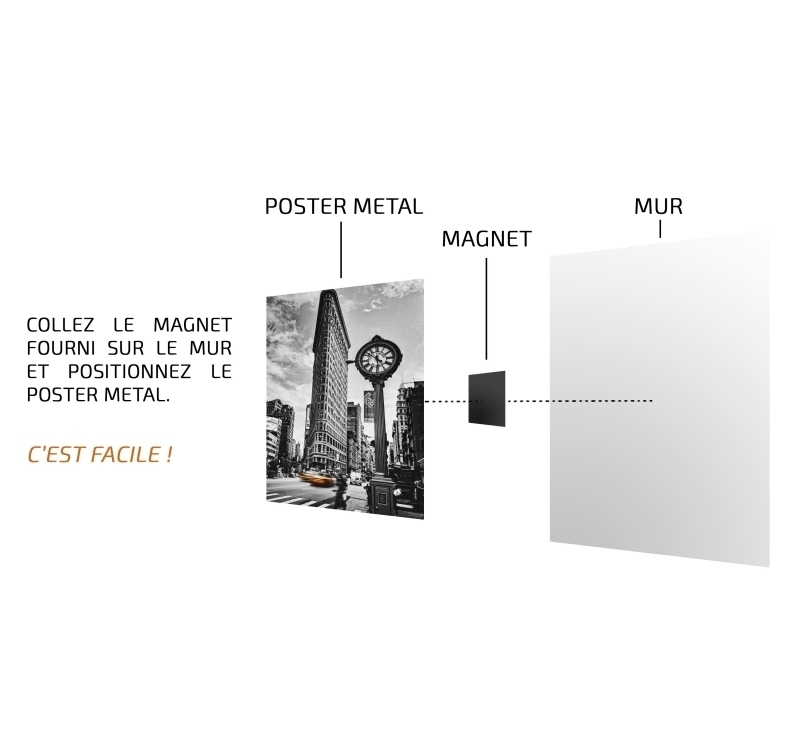 Printed on metal, the rendering of this wall poster is bright and high quality that will make almost obsolete traditional wall paper posters ... This metal poster is a collector's item for fans of the saga with a hologram guaranteeing the work of art and the signature of our production manager. 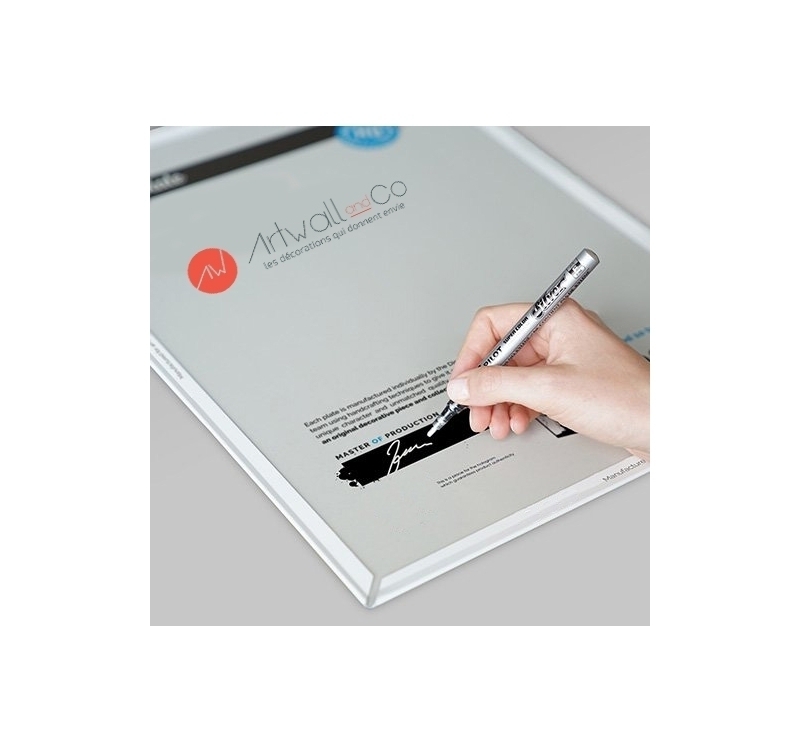 A hanging kit without traces or holes comes with this artist's frame.